my husband and I resolved to raise our family in a positive and upbeat environment with lovely traditions and exciting opportunities. But it's expensive to raise kids, and ever since becoming parents we've had to come up with creative ways to save money while still enjoying life. 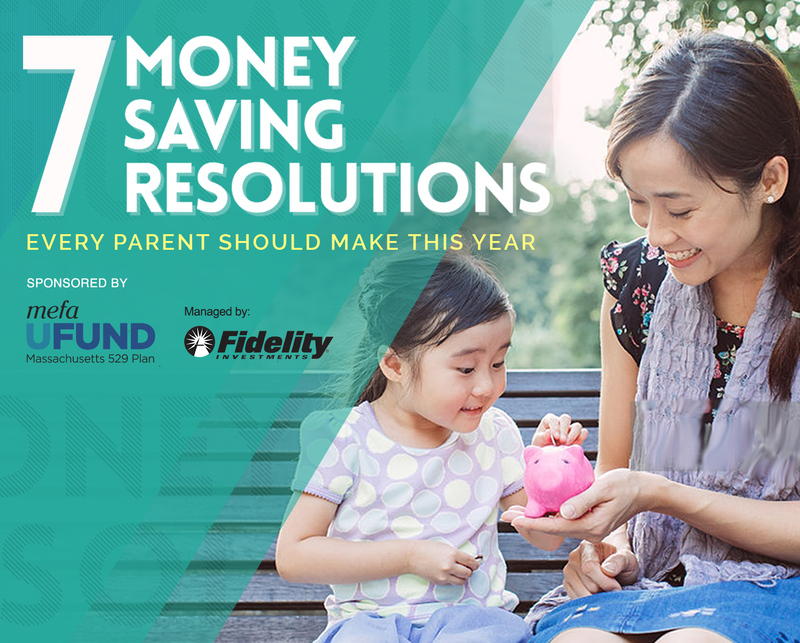 So, we've vowed to make saving and budgeting a family priority. In addition to staying on track financially, we're teaching our daughter valuable lessons about earning, saving, and (smartly) spending money. We've gotten off to the right start by setting and following these money-saving resolutions together. You can, too. 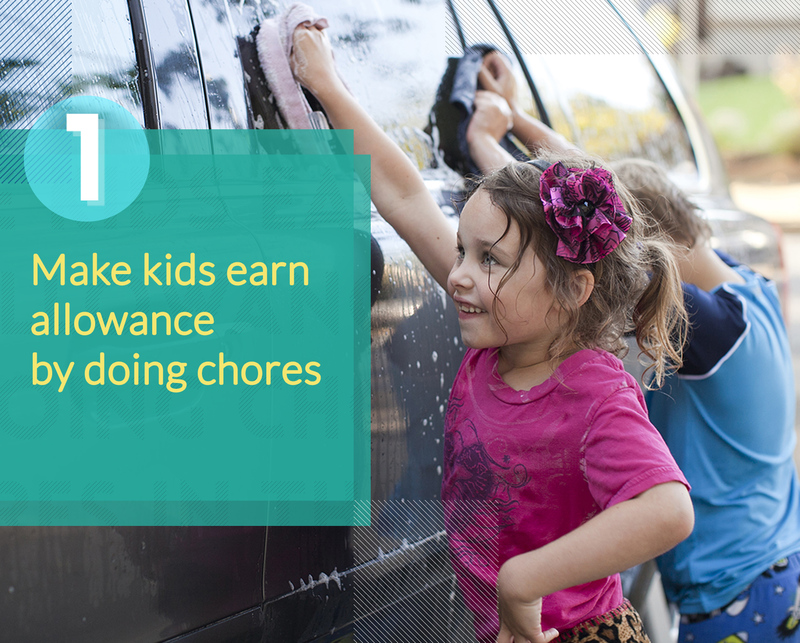 Make kids earn an allowance by doing chores. Getting the kids on a clear, rotating schedule of who is doing what (and when) will help take the guesswork out of chore time. Your kids will also learn the value of a dollar when they have to mop, vacuum, or walk the dog a certain amount of times to actually earn $20 for the mall. 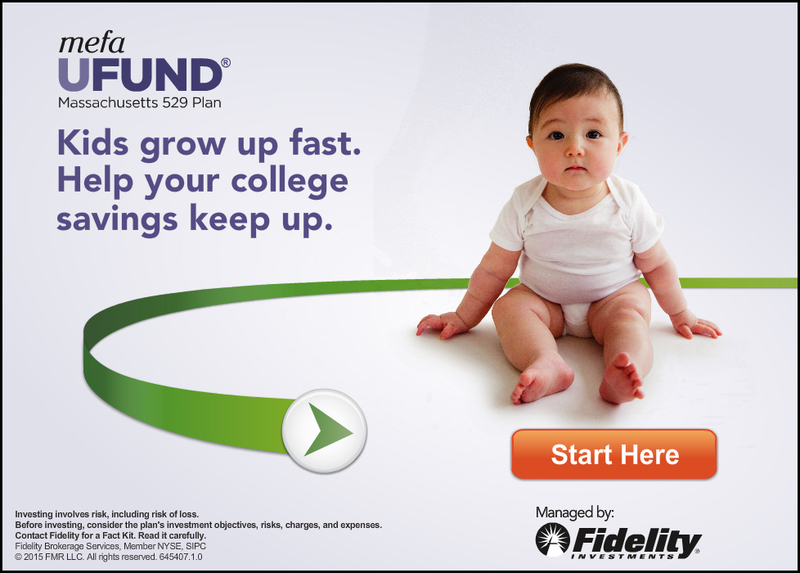 Not only are you instilling good values, you're also saving time and money as parents, too. The more everyone pitches in to help, the less time you'll spend dealing with it yourself (or paying someone else to). Stand firm: If your child skips out of his chores one week, don't hand over the cash until he's done his share the next time around. That's the only real way he’ll learn that money is earned, not given. 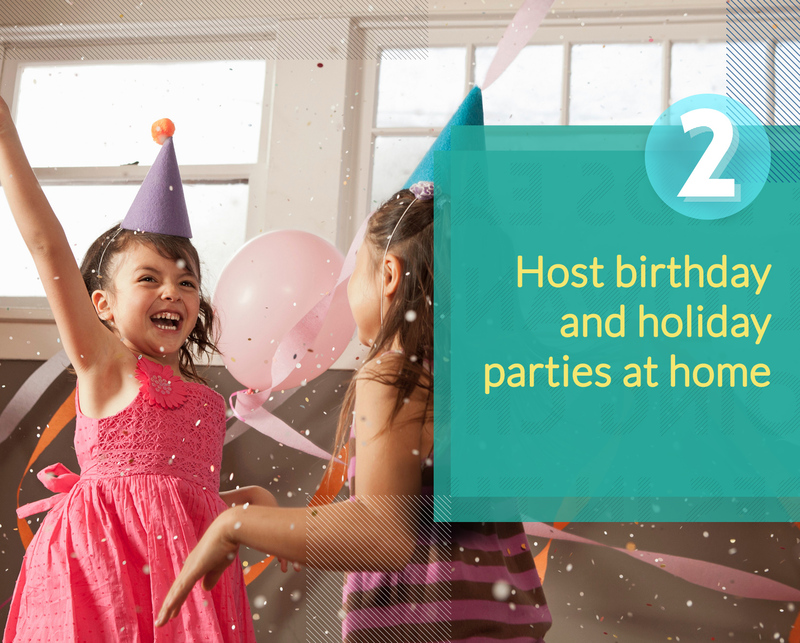 Host birthday and holiday parties at home. It'll take more effort and planning, but vow now to opt out of restaurants and party halls for the year of celebrations ahead. Pretty much any theme in a kids' party can be done in DIY style, from party games to food. You can even add helping with the decorating and cleanup efforts to that ever-present chores list for a little "bonus" the week of the party. You might be surprised by how many adorable, affordable DIY ideas there are to be found with a quick Internet search or survey of your crafty friends. As for Mother's Day, Father's Day, and so on, doesn't a homemade brunch in bed followed by some family fun at a local park sound like so much more fun than a pricey meal at a restaurant? Bonus: It costs less, too. Cook more often at home. Friday night pizza delivery adds up. Save money by recreating some of your favorite restaurant dishes at home. I was shocked to discover how easy it was to make Chinese-style fried rice at home without a wok or any special ingredients. Just rice, soy sauce, some random frozen veggies I had on hand, and an egg. Invest in a milk frother and make your own coffeehouse-style drinks instead of stopping by the coffee shop on your way to work. 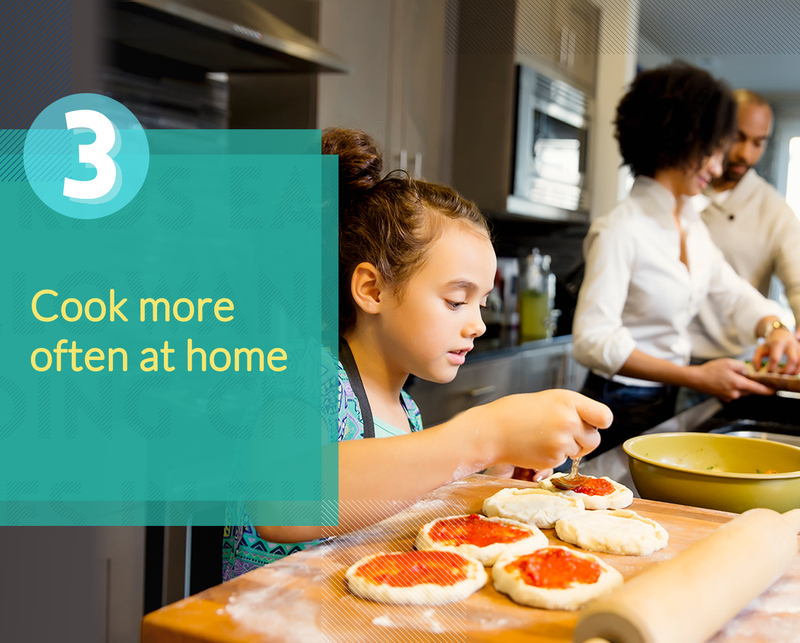 Going back to Resolution #1, involve the kids in helping to make meals (and clean up afterwards) as part of their list of chores. Yes, there are store-bought toys and other items that kids will want. But, making some of your own gifts -- say, sugar scrubs or knitted scarves for friends -- can help you save big over the holidays. A handmade gift for your hubs can be something as simple as a card with a "gift certificate" for breakfast in bed or a surprise date night. For kids, consider transforming their space with the addition of a chalkboard wall or ballet barre (both fairly simple DIY projects). Get your kids involved in the DIY action for a fun family project. 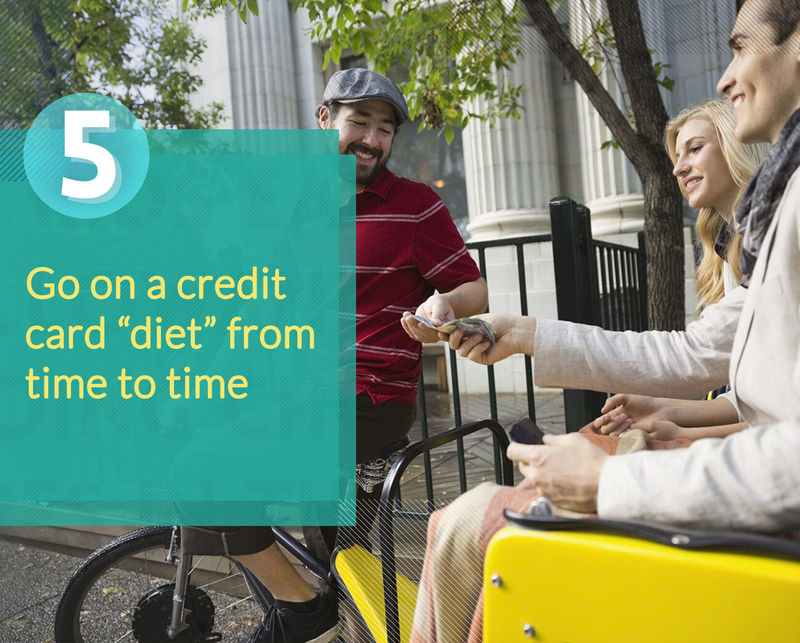 Go on a credit card "diet" from time to time. Something miraculous happens when you challenge yourself to use only the cash you already have in your wallet for the day. My hubby and I discovered this by accident during a recent weekend getaway when we realized that neither of us brought a wallet. We resisted the urge to go home and grab a credit card and instead scrounged together the coins and bills that were in the glove compartment and diaper bag. And you know what? We ended up having an amazing day, without acquiring any debt. So we've vowed to stop using our credit cards for random meals, coffee runs, and grab-and-go extras to help trim our monthly bills. I'm betting we'll see a big difference in the money we've saved by this time next year. Set up a 529 savings account. You don't need me to tell you how expensive college is. And yes, it can be overwhelming to think what it will cost to send our kids to college one day, but the best way to start saving is to do so today. 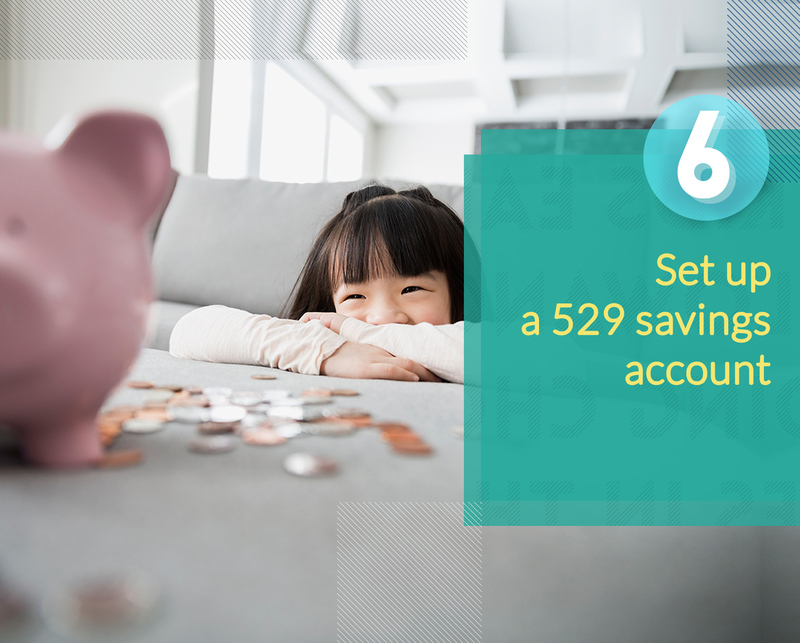 My husband and I opened up our daughter's 529 savings account with only $100, and it gives us peace of mind knowing we're saving little by little for that big moment down the road. (I also like knowing that in addition to paying for her schooling, we will be able to withdraw money for eligible purchases above tuition, like books, tax-fee.) It doesn't have to be a big, intimidating process at all. You, and other family members, can contribute to the fund as you wish, on whatever schedule best suits your needs. 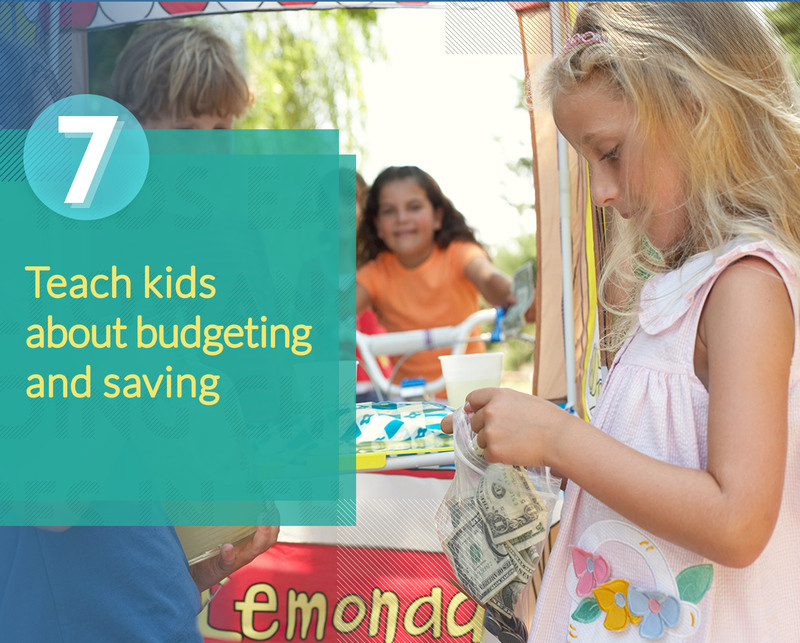 Teach kids about budgeting and saving. Budgeting is an important life skill and one I wish I'd learned sooner. An easy way to start is to give everyone a small budget during your next family outing and see how they spend it. You can guide them through the process: "If you get two scoops of ice cream, you'll only have X left to spend on a toy. But if you get one scoop, you'll have enough left in your budget for that bigger ball you were looking at." 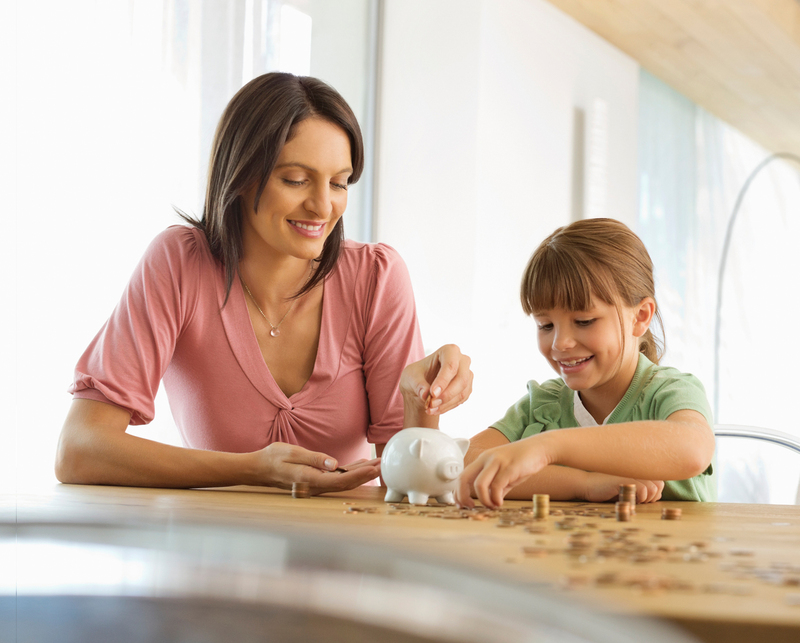 You can also teach them the value of saving money by rewarding them when they've saved up a certain amount of their allowance. If they combine a few week's allowance with that day-on-the-town budget, they'll be rewarded with a movie out in the theater, or something else special.